We work with UK retail giant, John Lewis, to help responsibly recycle its customers’ old mattresses, as part of its mattress replacement and removal service. As part of this valuable add-on service, John Lewis picks up customers’ old mattresses and takes them to one of its many distribution hubs. This is where TFR Group comes in. 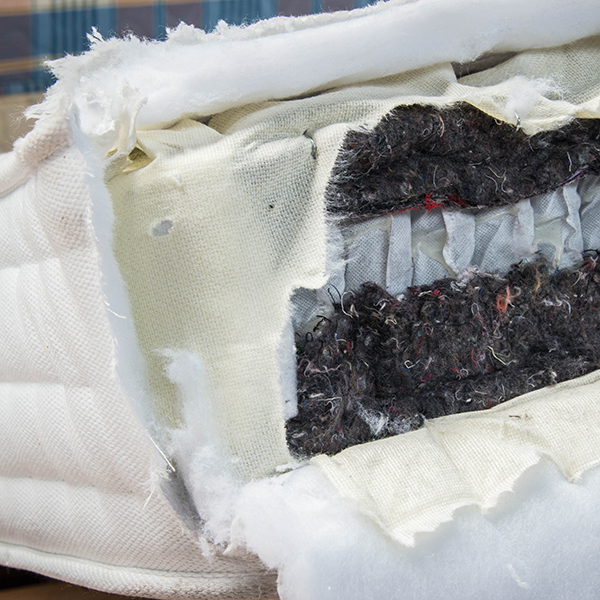 We collect the mattresses from John Lewis and bring them to our recycling facilities, where they are broken down into their 19 component materials by our team of skilled workers and our innovative pocket spring machine. These components are then thoroughly sanitised, recycled and used within the manufacturing industries in the UK. 58,000 mattresses in 2016 alone, diverting over 1,500 tonnes of waste from landfill. reduce the company’s carbon footprint. "TFR Group is trustworthy and has a solid plan for the future. With the help of Nick and his team, we’re very optimistic about the future of mattress recycling."